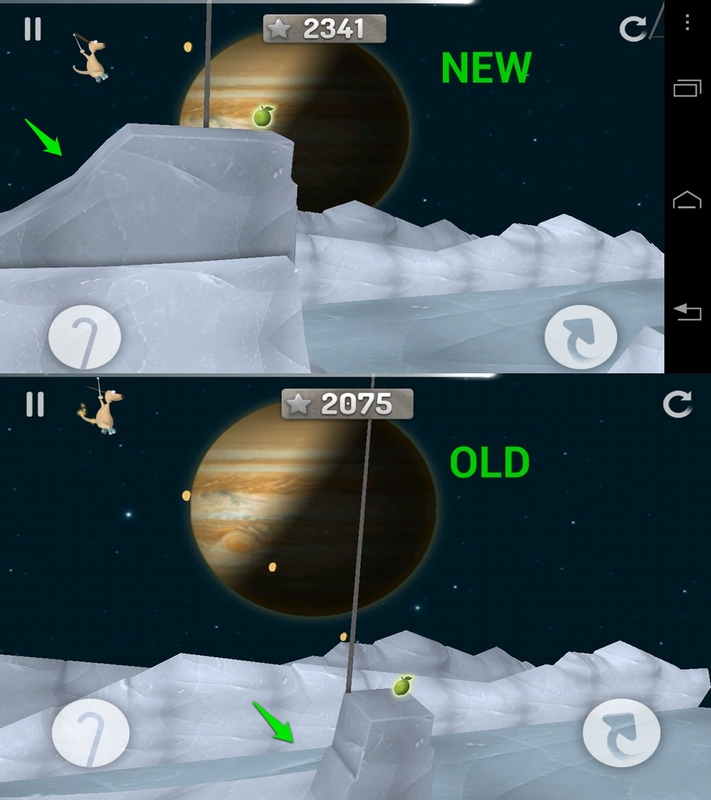 Over the weekend, an update to Granny Smith (my game of the year) introduced 12 new space-themed levels. The increased difficulty from the original set to these new levels was immediately noticed, causing a flood of negative comments to hit the game’s Play store listing. People were apparently disappointed in the idea that the game wouldn’t be a cake walk any longer and that they would actually have to master the game in order to beat it. But I digress. This morning, the makers of the game released an update that dumbs down all of the new space levels, putting them on par with the original set. 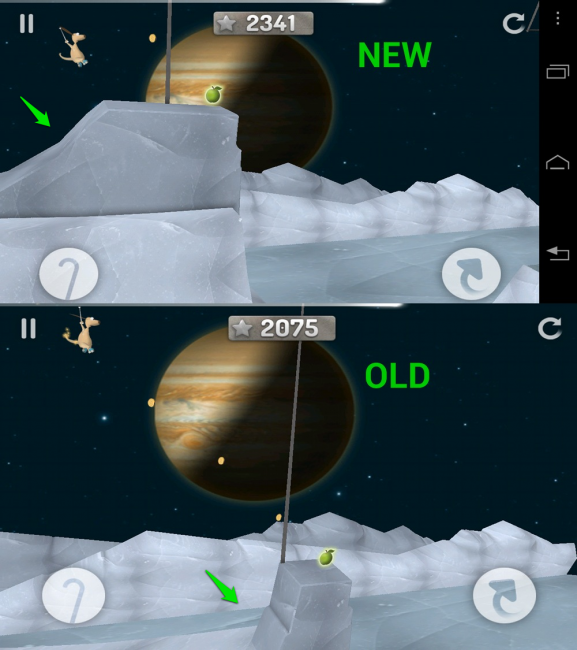 The little boy is now much slower, wires have been extended from places that they were previously tough to reach, and some obstacles have changed to make for easier landing and less exact timing. Take the picture above as an example. You can see that the rock containing an apple on the 7th level is now double the size, but also includes a ramp should you miss it short. For those of you who beat the original space levels with 3 apples, props. For those that complained, well, you win.